This concept, which began twenty-six years ago with twelve sets of instructions, grew to include instructions from 400 artists, shown in more than 150 art centers in over 15 countries. The exhibition, do it (in school), builds on this concept, with Studio in a School NYC forming a study-based curriculum for high school students over this past six months at three New York City schools ~ Art and Design High School in Manhattan; Fordham High School for the Arts in Bronx; and Frank Sinatra School of the Arts High School in Queens, along with Manhattan/Hunter Science High School; PS 7 8th Graders in East Harlem; Goys Club of NY from Gerry Clubhouse, and many more. Curated by Obrist and produced by Independent Curators International (ICI) in partnership with Studio in a School NYC (SIAS), and Hunter East Harlem Gallery, do it (in school) represents a new take on art education and is geared towards critical thinking and creative experience through hands-on workshops. 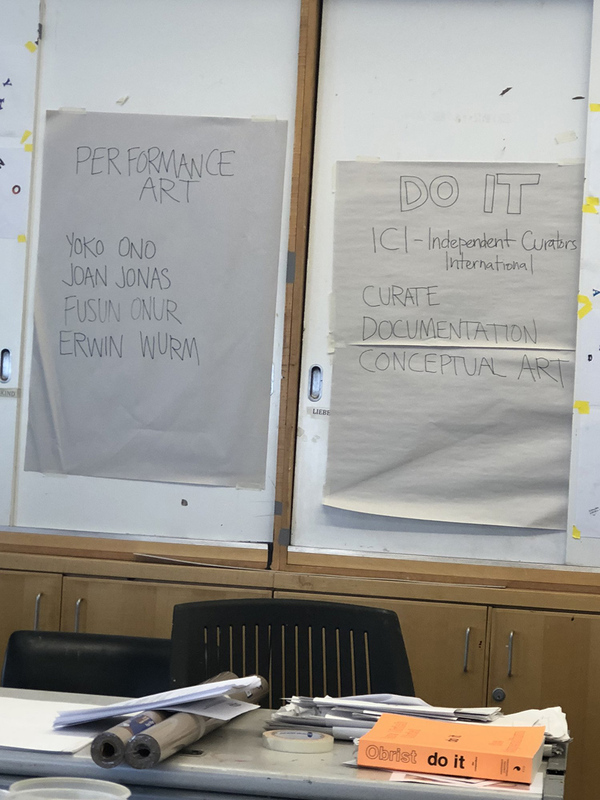 The curriculum is a solid base for learning about conceptual art and some of the most influential art practices of this century. Students learn about contemporary artists from around the world, generating artworks that respond to their personal experience as they interpret the work themselves. The exhibition at Hunter East Harlem Gallery highlights a selection of works realized by students in the SIAS program alongside documentation of the processes of students interpreting the artists’ written score. 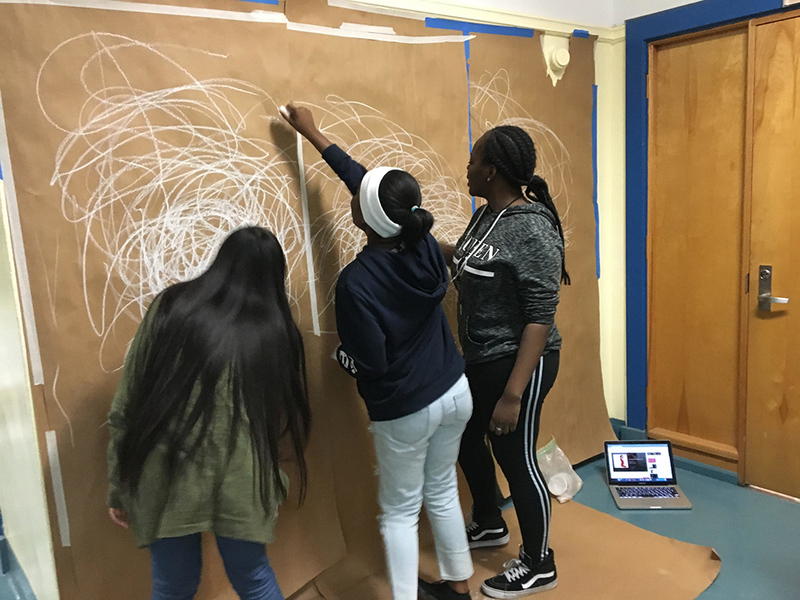 Additionally, high school students throughout New York City have been invited to create several site-specific artworks during workshops held at the Hunter East Harlem Gallery. 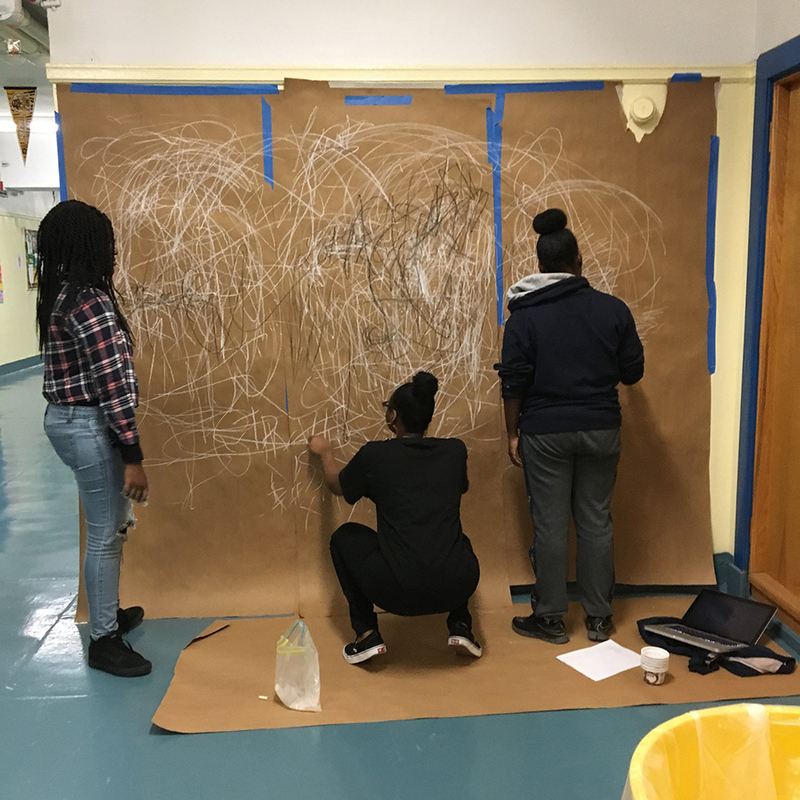 The collaboration with Hunter College through Hunter East Harlem Gallery adds a unique connection between high schools and a city university, as high schoolers become active in the college art gallery program. 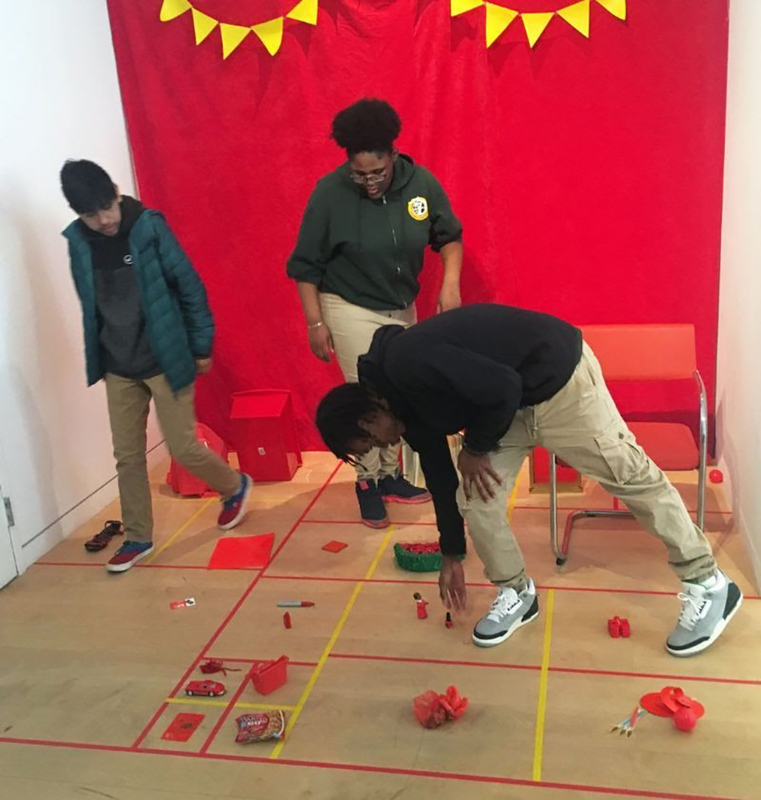 Many of the instructions in do it (in school) invite the viewer’s participation and activation, transforming the gallery into a site of engagement and community art-making. do it (in school) featured artists: Uri Aran, Robert Barry, Jérôme Bel, Christian Boltanski, Louise Bourgeois, Cao Fei, Claire Fontaine, Jimmie Durham, Simryn Gill, William Forsythe, Joseph Grigely, Shilpa Gupta, Madeline Hollander, Jonathan Horowitz, Joan Jonas, Allan Kaprow, Alison Knowles, Aaron Koblin, Koo Jeong-A, Sol LeWitt, Lucy R. Lippard, David Lynch, Jonas Mekas, Annette Messager, Ernesto Neto, Albert Oehlen, Yoko Ono, Füsun Onur, Thao Nguyen Phan, Cesare Pietroiusti, Adrian Piper, Raqs Media Collective, Lillian F. Schwartz, Hassan Sharif, Jim Shaw, Shimabuku, Carrie Mae Weems, Erwin Wurm. 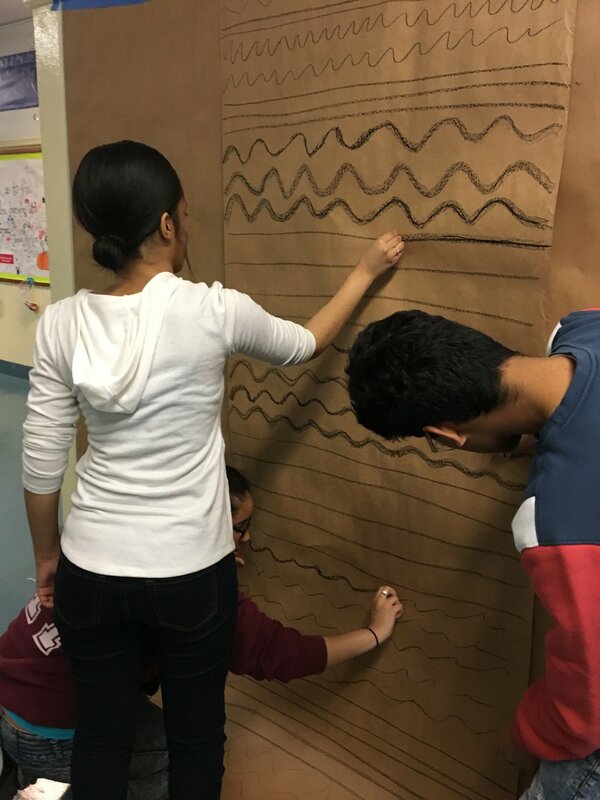 Students from class 803 at PS7 in East Harlem creating an Alison Knowles “Homage to Each Red Thing” (1996), piece inside HEHG. The students were led by the teacher Lindsey Matousek. Hunter East Harlem Gallery has been hosting after school workshops for students to come and do it (in school) inside the gallery! 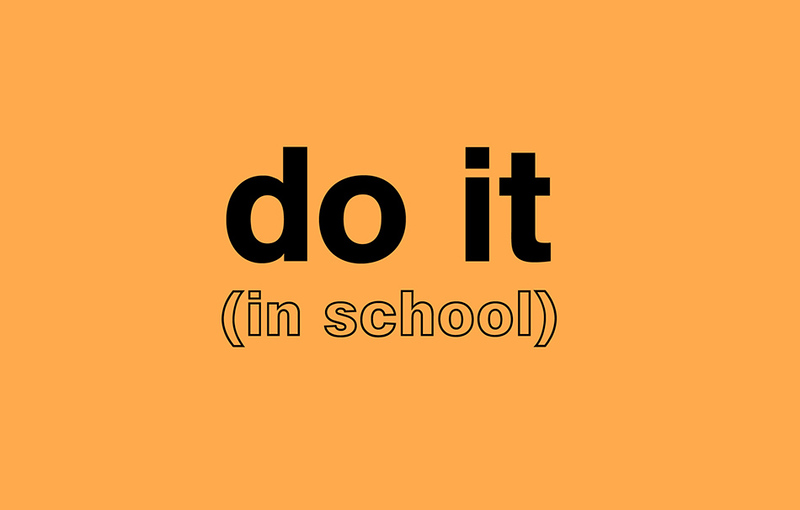 do it (in school) is a curriculum-based version of do it, curated by Hans Ulrich Obrist. do it (in school) is produced by Independent Curators International (ICI) in partnership with Studio in a School NYC and is made possible with the generous collaboration of Uri Aran, and by ICI’s Board of Trustees, ICI’s Leadership Council and the Jeanne and Dennis Masel Foundation, and additional gifts to ICI’s Access Fund, as well as by the generous support of individuals and foundations that support Studio in a School’s New York City Schools Program. The presentation at the Hunter East Harlem Gallery is organized in collaboration with Arden Sherman, Nora Maité Nieves, Nick Kozak, and Matthew Mahler. Additional support for do it (in school) at Hunter East Harlem Gallery is made possible by the Office of the President, Hunter College. do it (in school) will be on view from April 12 to June 1, 2019 at Hunter East Harlem Gallery, 2180 Third Avenue, enter on 119th Street in East Harlem. Opening Reception on Friday, April 12th from 4-8pm. While you’re there, walk around the corner to Present Histories, still on view in Harlem Art Park.